Mathematicians pose and solve problems. This can mean constructing a solution to a single situation or developing ideas and methods to handle whole classes of problems that are related in some way. 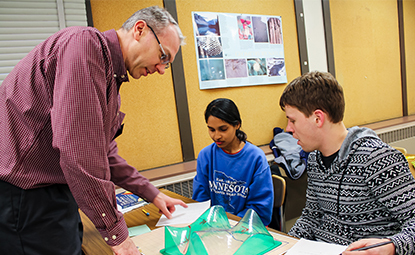 Students majoring in mathematics will learn to apply known methods of calculation and reasoning, use abstraction to distill problems down to their essence, examine assumptions critically, take different viewpoints and look for patterns and analogies among situations.